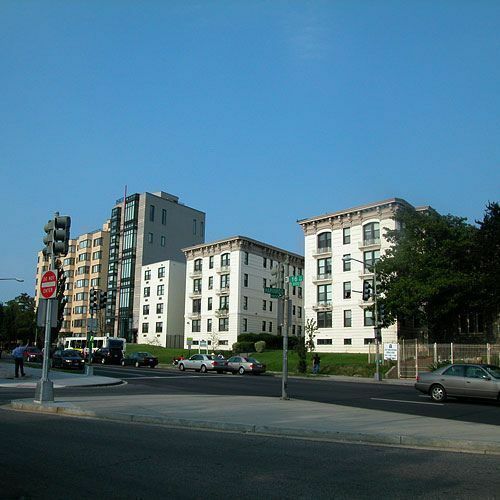 Mount Pleasant is a neighborhood in the northwestern quadrant of Washington, D.C.., which consists of wide variety of affordable condominiums in larger complexes. Due to it’s location there is much access to public transportation. The area also hosts a good a amount of retail, restaurants, small shops, and even a weekly farmers market. And close by is both the National Zoo and Rock Creek Park. 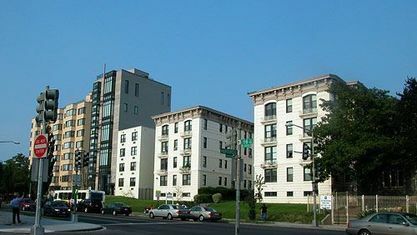 The homing structures are primarily wooden with row houses, apartments, 19th-century wood-frame houses, condominiums and cooperatives. It also has a 4-block commercial corridor which includes convenience shopping, large retail development, and many other services. Due to its variety and convenience, Mount Pleasant has effectively become one of the most established and sough-after neighborhoods in DC. There’s actually a very big History. But in summary, Charles Calvert, 5th Lord Baltimore (then governor of theMaryland Colony) awarded land grant for present day Mount Pleasant to James Holmead, whose son renamed the estate “Pleasant Plains” – an area established before the birth of Washington, DC itself! Then, after a lengthy transaction of land and remapping of tracts, Mount Pleasant was given to the commissioners of the district, due to ideas from a Georgetown pioneer businessman named Robert Peter. During the Civil War, it was renamed “Mount Pleasant Village”. And afterwards, a small boom in business, farming, trading, and building occurred causing the area to gain more recognition and become a focal necessity to the lands surrounding it. In the 1870s, it rapidly grew into a streetcar suburb serving the affluent communities of the District. It’s growth continued, hosting an artistic display of trees, flowers, gardens, fountains, and sculptures alongside the residential areas. This drew several big-name personnel whom further sponsored its uprising. Then, after a short while, the neighborhood went through a period of racial segregation. However, when differences were cleared and affluent residents returned, Mount Pleasant was returned to where it is today: a place of stature for professionals and many influential people from various ethnicities. The neighborhood is bounded by Rock Creek Park to the north and west; and Harvard Street, NW and theAdams Morgan neighborhood to the south; and Sixteenth Street, NW and the Columbia Heights neighborhood to the east. Get to know Mount Pleasant better with our featured images and videos.